Dominique B. E. Ward | The Barristers' Association of Philadelphia, Inc.
Dominique B. E. Ward is a Deputy City Solicitor in the Tax Unit of the City of Philadelphia Law Department. Ms. Ward practices in the Major Tax Division, which represents the City of Philadelphia in various legal actions to ensure the collection of taxes owed by businesses either located or operating in the City of Philadelphia. In her current role, she is responsible for representing the City of Philadelphia from both postures as a plaintiff in collection actions before the Court of Common Pleas and defending the City of Philadelphia in administrative tax appeals at the Tax Review Board. Before joining the Law Department, Ms. Ward worked in private practice where she handled civil rights matters involving Labor and Employment, Prisoners’ Civil Rights, and Special Education. Ms. Ward has been an active member of the Barristers’ Association of Philadelphia, Inc. for over five years, and in 2017 served as the representative for the Barristers’ on the First Judicial District Juror Participation Initiative. 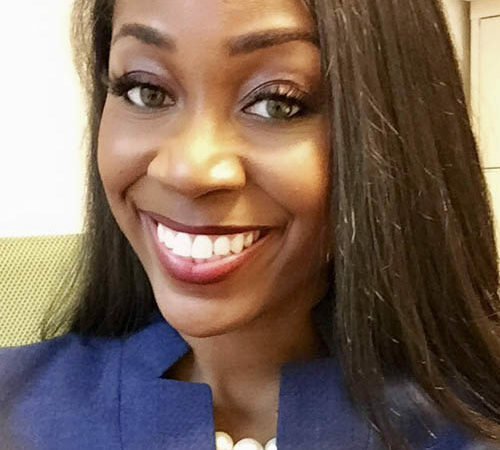 Ms. Ward currently serves on the Board of Governors for the Philadelphia Bar Association and is the Young Lawyers Division liaison for the Tax Section. Ms. Ward received her J.D. from Florida International University College of Law and Bachelors in Business Administration from the University of Miami where she majored in International Finance and Marketing and minored in Accounting. In her free time, she enjoys cooking, reading, movies, and all things Marvel comics.